The coat's color and the material was beautiful. It ran smaller than expected. But, if I had to order it again, I would do so. OSP features millions of things you never knew you wanted. Have fun shopping for the top products from OpenSky, Dot & Bo, Storenvy and 55Mulberry! For customer service inquiries or to initiate a return, please contact OSP at overstocksupport@opensky.com or (844) 334-5503. You can initiate a return for new and unopened items within 15 days of delivery for a refund. To qualify for a refund, items must be in new and unused condition with all original materials and/or accessories. If a return is not received at our processing facility within 30 days, it may be subject to a partial refund. You will be responsible for return shipping costs. However, if the return is a result of a fulfillment error, product defect, or damage incurred during shipping, we will refund the full cost of the merchandise. We will provide a pre-paid return shipping label for Non-Buyer's Remorse and Buyer's Remorse returns. All returns are subject to inspection, and if found not to be an error on our part, the return shipping costs will be withheld from your refund. Package Content: 1 x Women Coat. Classic designed style:closure with zipper and fastener,Lightweight,drawstring waist,Two pockets. 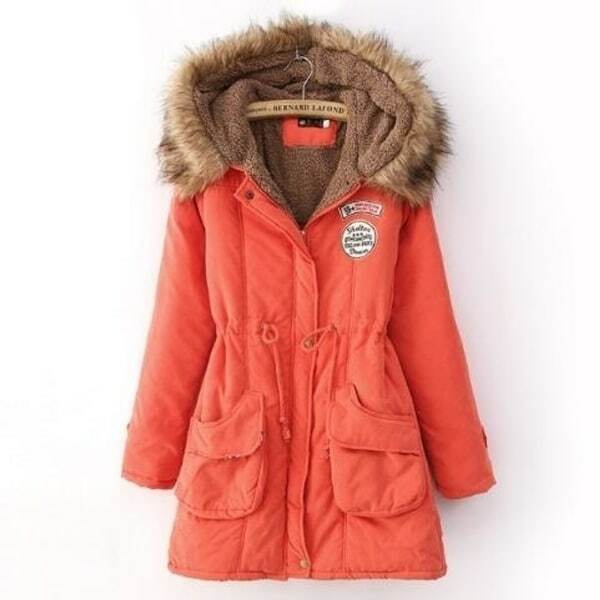 Great winter long jacket.Fits for outdoor,workout in any casual occasion.You Must have it in winter. Garment Care: Hand-wash and Machine washable, Dry Clean separately. Size S: Bust: 37.5", Length:28.5", Sleeve:22.5", Shoulder:15.4". Size M: Bust: 39", Length:29", Sleeve:23", Shoulder:15.9". Size L: Bust: 40.5", Length:29.5", Sleeve:23.5", Shoulder:16.4". Size XL: Bust: 42", Length:30", Sleeve:24", Shoulder:16.9". Size 2XL: Bust: 43.5", Length:30.5", Sleeve:24.5", Shoulder:17.5". Very cheap, looks like it’s been worn by someone for a while. Fabric very cheap and thin. I ordered a large and feels like a small. I never received this item after several attempts to resolve with the seller. This rating is more for the seller than the item. It is an independent seller but is has scorched my relationship with Overstock. The coat is after a few days had the stitching come apart on the pocket and it is now falling off. In addition this review is for Opensky, a third party reseller working with Overstock. Initially the coat was delivered to the wrong address, I then began contacting the seller to get the coat sent to my house. A few days after contacting them they sent me a new tracking number that was incorrect, I contacted them again. They then quit responding all together, I was both calling and emailing. I finally had to contact Overstock directly and get them involved, a few days later Overstock sent me a new tracking number that turned out to be correct. It took almost an entire month to receive the coat. I would never order from Opensky again after this experience. Love this coat. I got it in the Army Green and it fits perfect & looks good & is nice and warm. Did not fit correctly. Some weird patch on front. Returned 2 months ago. No refund yet. I don't like Army and other patches on front and the color is not pink, but a dirty mauve. I am currently awaiting refund for return.